After randomly deciding to join in at 13.05, I’ve had a good couple of hours. Obviously I got a little bit distracted by Twitter (reading with a smartphone on your lap can be counter-productive…) and by stopping by some of my bloggy friends to offer supportive/overly-enthusiastic comments but I also READ. I probably won’t post every couple of hours but I’m about to head out to stock up on provisions so it seemed kind of a good time to sneak an update in. I’m a big fan of how Ellie @ Curiosity Killed the Bookworm does her updates so I’m hoping that she won’t mind me copying taking inspiration from her! Hours since last sleep: I woke up at 10.00am this morning (jet-lag…) so 5 hours, just. 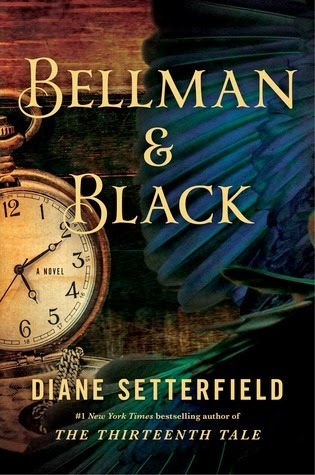 I started Bellman & Black by Diane Setterfield and I love it. It’s not super creepy yet but I adore the writing and the characters already so things are looking good. Sadly now my tummy is rumbling and I can avoid the call of the shop no longer. The next couple of hours will hopefully include: shopping for delicious motivation, drinking peppermint tea and coffee to keep warm/awake, tweeting (too much, probably) and READING!